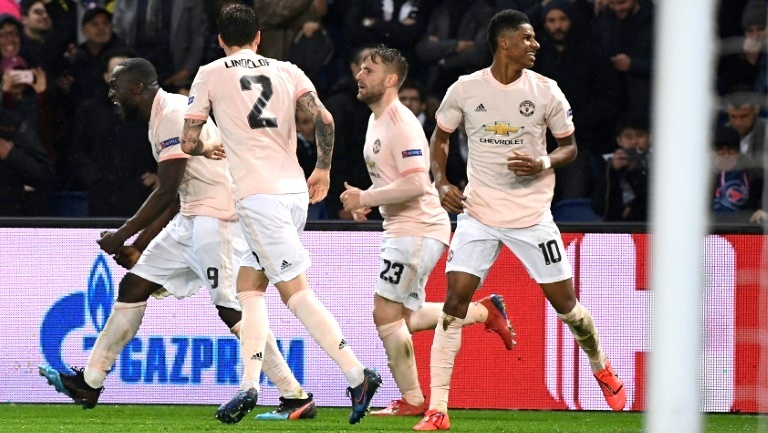 PARIS: Manchester United manager Ole Gunnar Solskjaer said his side “can go all the way” in the Champions League after Marcus Rashford’s dramatic stoppage-time penalty gave them a stunning 3-1 win away to Paris Saint-Germain on Wednesday (Mar 6) as they improbably reached the quarter-finals on away goals. Their improbable victory – following Ajax’s similarly stunning turnaround against holders Real Madrid 24 hours earlier – takes them through to the last eight for the first time since 2014. For the third year running, they fail to make the quarter-finals, after their defeat at the hands of Real Madrid a year ago and their humiliating collapse against Barcelona in 2017. Solskjaer was on the bench that night, and the Norwegian watched from the sideline here – curiously with a bib on over his jacket apparently due to a colour clash with PSG’s kit – as his side went in front inside two minutes. At 25 yards out, Rashford tried a shot that was powerful but straight at Buffon. Yet the veteran Italian spilled the ball, and Lukaku followed in to score his sixth goal in three games. PSG – so slick in France – were wobbling again at the business end of the Champions League. It still looked as though they would hang on, but then VAR intervened, and Rashford sent United into ecstasy.